Knight Lautrec is a Character in Dark Souls and Dark Souls Remastered. This NPC plays an interesting role in the Firelink Shrine, leading to its deactivation. First found in the Undead Parish, locked up in a prison cell. To find him, go up the stairs to the right of the elevator. You'll encounter an Balder Knight, then a room full of Hollows and a Channeler. In the left corner from where you entered, there's another passage with another Balder Knight. At the top of this passage is a broken door. Break the door to reveal the room containing Lautrec. Free him, and he'll give you a Sunlight Medal as a reward once you get back to Firelink Shrine and speak to him. The Mystery Key unlocks the cell, and can be found in the Undead Parish on a corpse. The Master Key can also be used. If you choose not to free him, he will find his own way out after you beat the Bell Gargoyle boss. He will not offer you a Sunlight Medal, nor can he be summoned as a phantom for the boss-fight. Once you have finished the Undead Parish, go back to Firelink Shrine and you’ll find Lautrec sitting on the ground in front of Anastacia’s cave, fire keeper of Firelink Shrine. If Lautrec is still at Firelink after Reah has departed for the Catacombs, and Petrus has returned, he will offer you a 'tip' for your soul level x100 souls. (e.g. SL33=3300 for the tip). The 'tip' is that Reah's companions fled or turned hollow, and she is now alone in the Catacombs. In Lautrecs own devious words, "A nubile cleric would be replete with humanity. *laughter*". After buying this tip, he says he got it from a 'fleeing old man', and that 'all his trinkets and robes won't help him now'. Lautrec will stay in Firelink Shrine until you have either rung both bells, or taken the Fire Keeper Souls from the Undead Parish and Blighttown, whichever occurs first. Once you have done either of the above, he will kill Anastacia and disappear (regardless if he was freed from his cell or not). However, that is not the end. When you return to firelink, check Anastacia’s cave to find her dead body and some items. Amongst the items is a Black Eye Orb which you can use to find Lautrec again, and reclaim Anastacia’s stolen soul. It is possible, perhaps even recommended, to kill him when you first free him. He won't drop his armour, but will drop 5 Humanity, 1000 souls and Ring of Favor and Protection, a very powerful ring that is useful the entire game. He is not too hard to kill; he moves slowly and when he rolls he leaves himself wide open to a backstab. Additionally he has no shield. Watch out for his power attack though, it ignores your shield. An extremely easy way to kill him at Firelink is to approach him where he sits, and kick him. He will be knocked backwards onto the edge but will not immediately turn aggressive. A second kick will propel him off the side to his death. Quit and reload and the 5 humanity and ring will be sitting there. Killing him early will end this sidequest, and you will miss your chance to obtain both his and Anastacia's armor sets. Once rescued, Lautrec can be summoned to assist in the Bell Gargoyle fight. His summon sign can be found on a ledge across from the ladder below the fog gate to the Bell Gargoyle. NOTE: In order for his summon sign to appear, you will have to rescue Lautrec, then return to Firelink and accept his reward which is a Sunlight Medal, then return and you will find his summon sign on the ledge. Also don't forget to be in Human form. You can summon Phantom Knight Lautrec in The Depths to help you fight the Gaping Dragon. His summon sign can be found on the opposite side of the pillar where Knight Solaire's summon sign is (just above the the boss fog gate). Note: Invading Lautrec is the same as invading another player. You cannot use Estus flasks to heal yourself, so be prepared! After obtaining the Black Eye Orb from Anastacia's body, proceed to Anor Londo. When you reach Anor Londo, make your way through the area to the boss fight with Ornstein and Smough. In the large room just outside the room where that fight takes place, the Black Eye Orb will begin to vibrate. That is your hint on how to find Lautrec. Once you have cleared that room of the enemy so that it is safe, use the Black Eye Orb to invade Lautrec’s realm. When you do, you’ll face Lautrec and two of his comrades in a fierce battle. If you have poisoned arrows you can kill all 3 poisoning them from the point where you appeared, just shoot them and watch their health go down. All you need do is defeat Lautrec himself to win, but killing the other two will grant additional souls. Be careful, as Lautrec's shotels heavy attacks ignore your shield and must be evaded. Defeating him will grant you 5 Humanity, Ring of Favor and Protection, Anastacia's Fire Keeper Soul, as well as a Souvenir of Reprisal, an item ordinarily only obtained by members of Blade of the Dark Moon. After you have killed Lautrec, you can either return to Firelink Shrine and visit Anastacia’s cave to return her soul, which will bring her back to life and re-enable the Bonfire of Firelink Shrine. Or you can use her Fire Keeper Soul to upgrade your Estus flask at one of the other Firekeepers. Be careful that using the soul to upgrade the flask or other reasons will result in the impossibility to revive the firelink shrine firekeeper and bonfire. After defeating him you can find his corpse, outside the chamber of the princess in Anor Londo, containing his entire suit of armor. Killing him without following the above will only grant you the Ring of Favor And Protection and 5 Humanity, you will not be able to obtain his or Anastacia's armor. 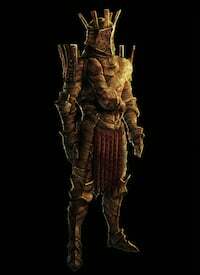 His two companions in Anor Londo are one of the three sealers of New Londo and an NPC wearing Soldier Armor (without helmet) and wields a Wooden Shield and Spear (regular spear). Additionally, his armor set can be found on a balcony overlooking the Ornstein and Smough boss arena. If you kill Quelaag and ring her bell or collect the two firekeeper souls before killing the Gargoyles, in addition to not be in his jail anymore, he will kill the firekeeper Anastacia without being a friendly NPC located at firelink shrine. I don&apos;t know what&apos;s the big deal about killing this guy while invading him in Anor Londo. Just grab a Zweihander on both hands and do the R2 attack. Cheesy. If you choose to invade him, does he &apos;drop&apos; the ring of favor or is it &apos;given&apos; to you? Seems like it&apos;d be given. Little fact: If he arrives to Firelink before he kills Anastacia, kill him as quickly as you can. So interestingly, I was doing a new run today and I did something I&apos;ve never done before. I went through to Taurus demon like normal. Then instead of running across the dragon bridge I ran back to the bonfire because i wanted fresh spell used to kill the black knight and havel. So I kill havel and I&apos;m like, wow I could just run through darkroot basin and skip all that nastiness with the boar and the church, so I do that and come up near sens fortress. I unlock the lift shortcut, go back, kill the sorcerer, and go to free Lautrec from his cell. Hes not there. The cell is empty before I even see him once and before I kill the gargoyles. So I&apos;m like well shoot mabey I missed a trigger? So I go and do all of the boar/church area backward and then come back and hes still missing. So I&apos;m like well I guess I&apos;ll just go to fire link to grab 10 estus before I do gargoyles and lo and behold, hes already killed her and disappeared, before I rung either bell. Never saw him once. I wonder if sequencing like this intentionally speeds up his actions or if it was a glitch. Curious to know if this has happened to anyone else. I may start again just to test this and see if It happens a second time. You can kill him easily with the dragonslayer greatbow. Unlike with the longbow, he stays where he is after you hit him so you can fire again. Farm some souls, get ammo from the blacksmith in Anor Londo and shoot him about 15 times. Done. Do you have to Be in online-mode to invade him? When Lautrec is invaded, he also uses the Slumbering dragoncrest ring. I don&apos;t think this is important, but hey, at least a level of detail. How is this site even usable when ads pop over what you are reading? You cant even move the damn things. I love fextra life but I am done! Damn it, I killed him through the bars of his cell and now I can’t open the door despite having both a Master Key and Mystery Key... All his loot is just sitting there barely within reach, but I can’t get it, lmao. Don’t get uppity using the Demon Spear as a wall exploiter, I guess. rather curious, if I&apos;m playing a game with item locations randomized, ignoring the bell based cue, does he kill the fire keeper if I loot both places where the souls normally lie...or if I happen to obtain the actual fire keeper souls supposed to be there? It saves a lot of time and bother to just kill him after his gift, so you don&apos;t have to deal with him and his friends in Anor Londo. Does the Darkhand strong attack work on him when you invade? You do amass some degree of Sin for killing him in human form, enough that it requires 15,000 souls to absolve. Who are the NPCs he summons when you invade him? i freed him before i went to fight the gargoyles and he went to firelink fine but i went to new londo and got the firekeeper soul there (thinking it would make him kill anastacia sooner) but he was still there when i got back and she was still alive but after i returned from lower undead burg he was gone and she still wasnt dead. where did that embraced s.o.b. go? I went to the cell before I killed gargoyles and he wasn&apos;t there, nor was he after I killed them or at firelink shrine?